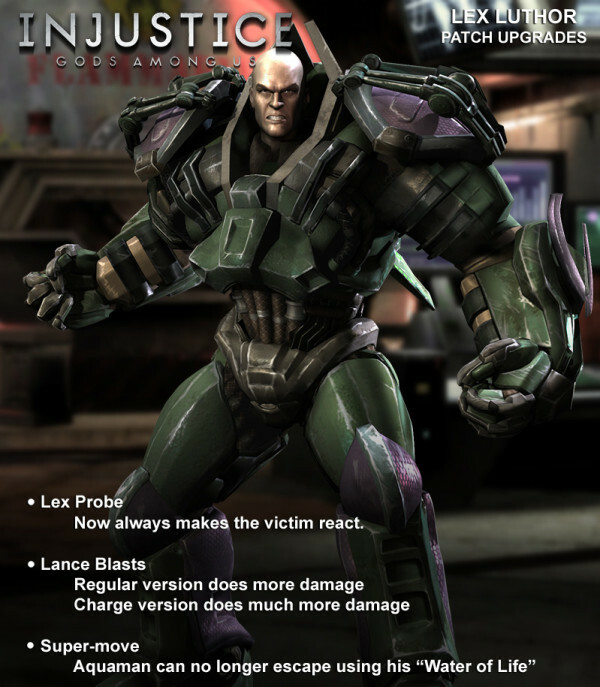 Another sneak peak at a character's changes coming to the Injustice: Gods Among Us patch has been revealed. The image above shows some changes being made to Lex Luthor. NetherRealm's Ed Boon posted an image on Twitter revealing a few changes in the works for Lex Luthor. These changes will be used in the upcoming Injustice: Gods Among Us balance patch.